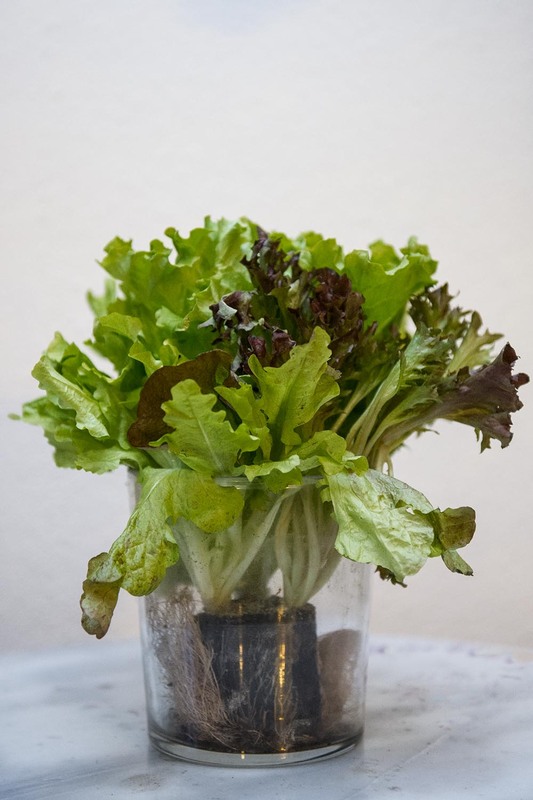 I bought some salad today, which wouldn´t be that exciting, if the salad wasn´t still rooting! Something I missed at the shop, but it was quite a pleasant surprise. My lovely new roommate is not only looking white pretty, it is also supposed to grow again after beeing harvested. Plants don´t really like me, therefore I´m curious what is going to happen – at least it will taste great!